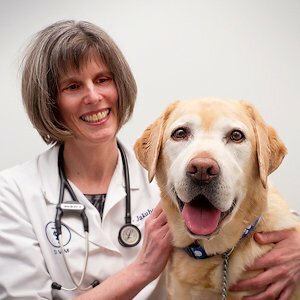 I am Dr. Iz Jakubowski, one of the veterinarians at RYAH and I am your “guest blogger” today! 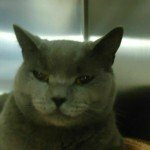 I am really concerned about the the toxicity of some flea products bought at pet stores, especially with cats, and I wanted to share this with the RYAH community. 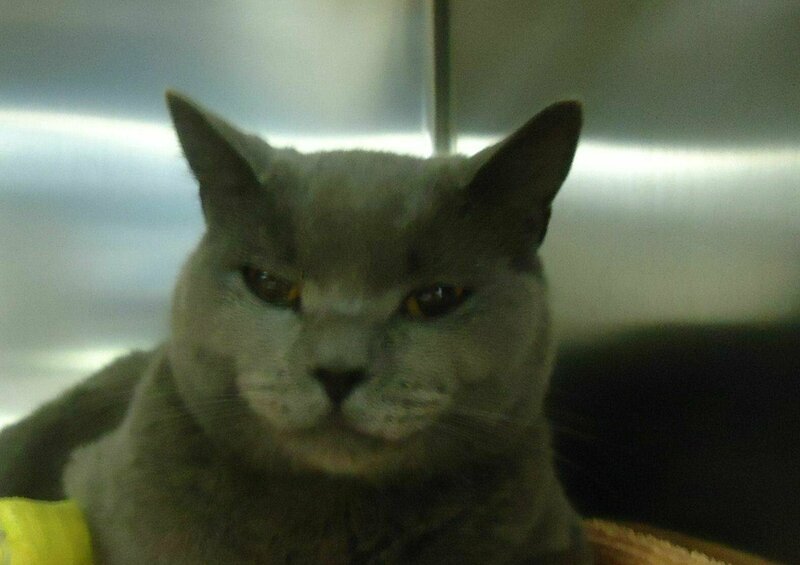 Recently RYAH has had two cats from different households, Louie a beautiful male, 5 year old Russian Blue (see photo!) and Sky, a male Siamese mix, arrive at RYAH wide-eyed, disoriented, pupils dilated, ears and facial muscles twitching and with their bodies shaking and with muscle tremors. Louie had also spiked a fever. It turns out that both of these cats had been treated for fleas with a pet store DOG flea product and were reacting to a chemical in the product called PERMETHRIN. PERMETHRIN is a common insecticide used to kill fleas. Cats are especially sensitive to products containing PERMETHRIN (or any pyrethrin or pyrethroid), and the concentration used in dog products is well above what cats can tolerate. Too high a dose can cause toxic signs in dogs too. The fallout can include lethargy, drooling, vomiting, muscle tremors, seizures, and hyperthermia. (All that muscle activity generates a lot of heat, and prolonged hyperthermia itself can have serious consequences.) In a small percentage of animals, PERMETHRIN exposure can be fatal. These toxicity cases need immediate medical attention than can involve 1-3 days in hospital for decontamination, IV fluids, medications to control tremors and seizures and supportive care. It is also a common misconception that cats are smaller versions of dogs and can use the same products or medications, just in smaller doses. This is NOT true. Cats and dogs actually metabolize some things differently and are sensitive to different ingredients. Cats that groomthe family dog soon after it has had a spot-on application are also just as at risk for toxicity as if the product had been applied to the cat’s own skin. When you consider that a single flea can lay up to 27 eggs, that fleas feed about 400 times in one day, that they cause irritating skin allergies that can lead to skin infections, and that they can transmit tapeworms if your pet ingests an infected flea, you can understand why we’re big on flea prevention. But it’s best to choose a product recommended by your veterinary team to avoid common pitfalls (and sometimes disatrous consequences) of using over-the-counter products. It may be a little more expensive than what you will find in a pet store but with good reason. The products we use are well researched and tested in scientific trials to demonstrate that they work — and that they are safe for YOUR pet. In the end, you get what you pay for. Happily, both Sky and Louie made full recoveries and returned home within a couple of days.